Some employees would prefer to sign a settlement agreement without the hassle of getting legal advice first. Everything’s agreed. Everyone’s happy. Why bother going to the trouble of finding a solicitor? 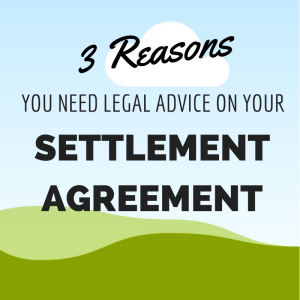 Well, here are three reasons you will need to arrange to get a solicitor on board before signing. The law protects employees from signing away their rights without first understanding what their rights are. Your employer will present you with a document by which you give up all employment related claims. Do you know what these claims are? Do you know whether your work situation entitles you to claim compensation? By speaking to an adviser, you can discuss your circumstances in full and obtain guidance on whether you would be better off negotiating a higher payment or refusing to sign altogether. Do you know how much you should expect by way of a termination payment? Your solicitor will be able to advise you. It may be that you’re not getting everything you’re entitled to. 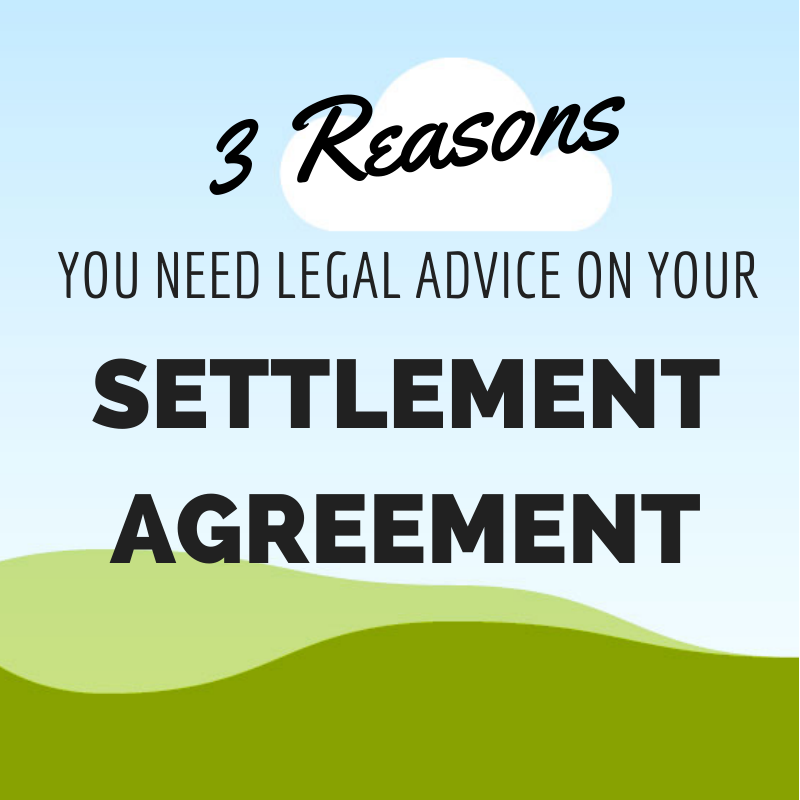 Make sure you get the best legal advice about how much you can expect to receive under a settlement agreement. Even if you’re getting all the money you’re due, you may not be receiving it in the most tax efficient way. For example, if you’re paying tax on a payment in lieu of notice, your solicitor may be able to propose that the document be re-drafted so that you can get it tax free. If this is done in the right way, your employer won’t have to pay you any more money but you’ll be able to receive the payment free of tax. Please call us for a free consultation. Or fill in the form below and we will call you.